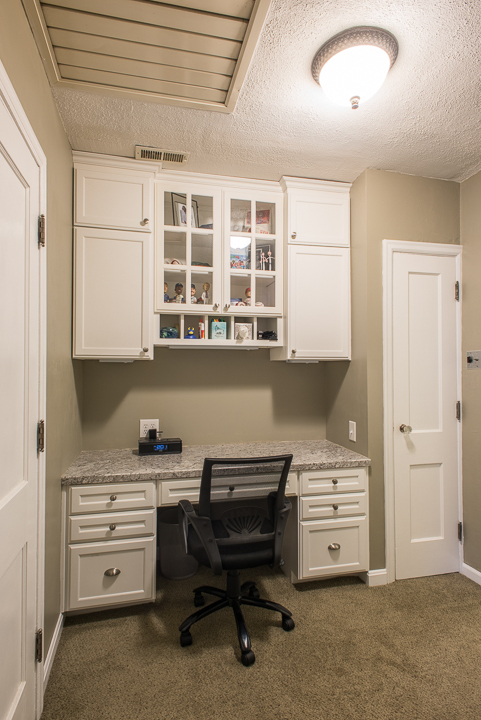 To accomplish this, we made modifications to the existing structure to accommodate the new master bath. We also removed the glass walls and roof structure and leveled the floor joists for the new space. The owners selected mosaic tile consistent with the period of the home. Meticulous attention to detail in the design, product selection, and construction create a showpiece master bath suite. For example, the sink area has three windows above and sconce lights on either side of both mirrors. Also worth noting is the built-in niche on the side of the toilet. The new master bedroom provides the owners the space they desired. 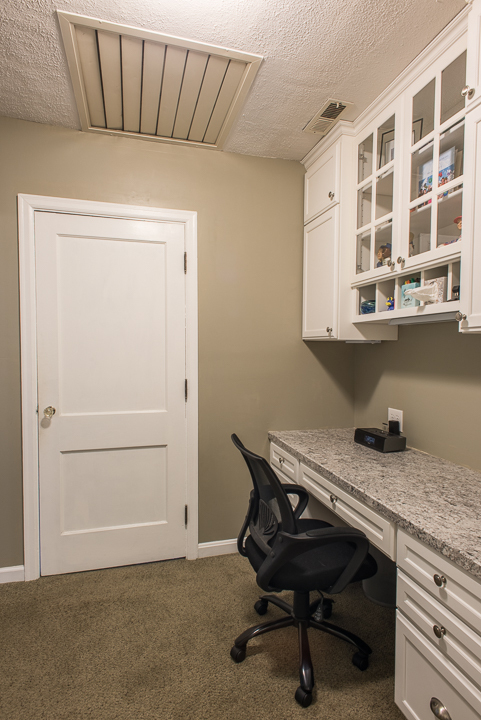 We also remodeled the existing space building a closet and a desk area. 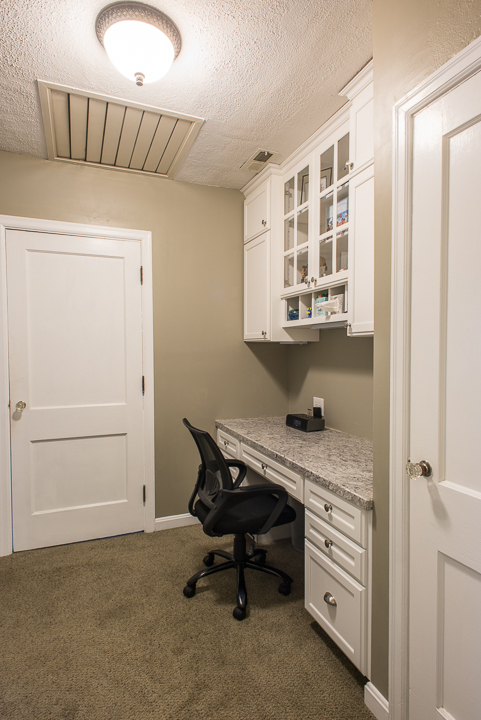 The closet uses existing space that previously led to a hallway. 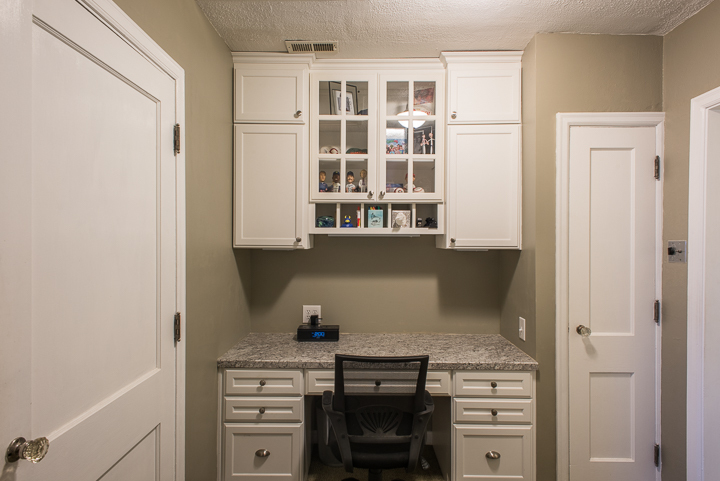 We removed some walls, closed in a door opening leading to the hallway, and built the new closet which features custom-built shoe racks and closet shelving. We also rebuilt a hutch which was original to the home and re-installed it back into the wall on the first floor. The hardwood floors were sanded and refinished. Finally, to improve the energy efficiency and comfort of the new areas, we installed spray foam insulation. The result is a historically accurate transformation that is both beautiful and functional.